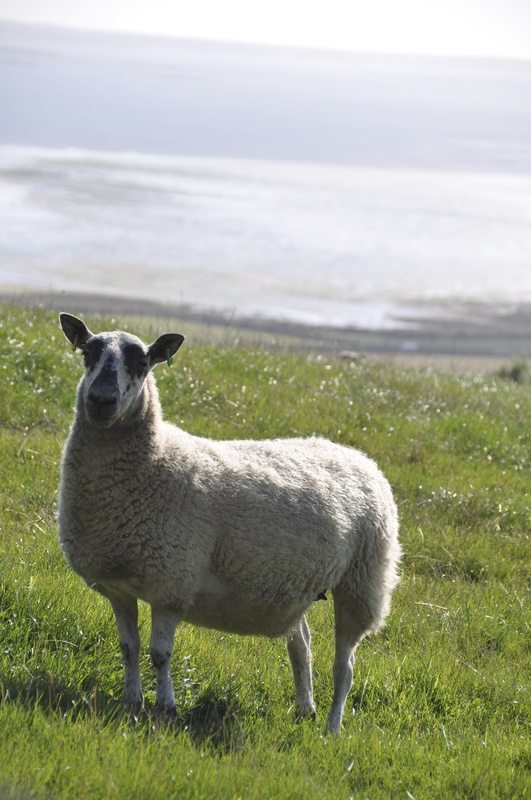 I’m aiming high with post number 3 for the Townlands blog. 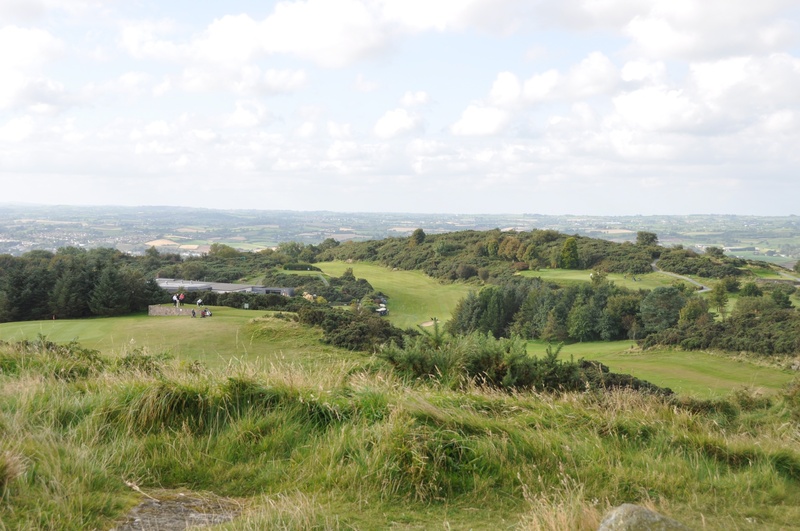 Today’s townland is Scrabo, which occupies the top of a hill overlooking Strangford Lough. Its most notable feature is the 19th century Scrabo Tower. 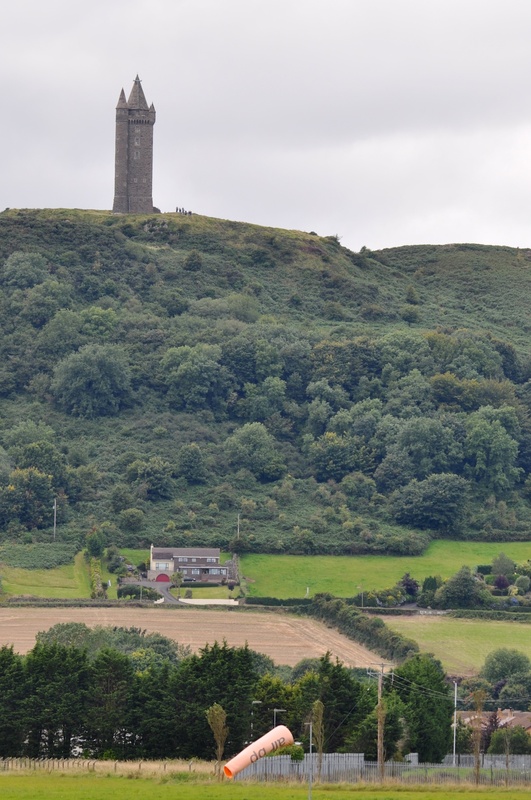 The townland extends down the eastern side of the hill, but stops when it reaches Newtownards town and airfield (the location of the windsock in the next photo). What I didn’t know until I read the PLACENAMESNI website is that the name Scrabo derives from the Irish “Screabach”, meaning “thinly covered rock; light, stony ground”. Some of the ground is good enough for golf, at least. And the rest of the ground is perfect for sheep. Scrabo tower is visible across much of County Down. I can’t help photographing it from other townlands, so you will find images of the tower in my posts about Killarn, Whitespots, Unicarval, Castleaverry, Ballycullen, Ballyhenry, Ballyloughan and more. Which townlands border Scrabo? It’s all downhill from here. To the west, Ballycullen, Ballyalton and Killynether. To the south, Castleaverry. To the east, the town of Newtownards and the townland of Corporation South. And finally, click here to see a map of Scrabo and to read about the townland’s name on my usual source – PLACENAMESNI.ORG. George was a cousin of John Herron of Ballyhenry, whose son Andrew still runs the family farm. He worked most of his life for John, and John’s father before him. For anyone who met George, he was the kindest, most decent person they knew, as well as a hugely skilled, knowledgeable and skilled farm worker. Ask any older Comber resident if they knew him and watch the smile break out on their face. A picture of George, taken in 1968, with the late Denis Gibson also on the tractor is here. Lovely comment, thank you. You’ve been adventurous, then, moving to a place where you can’t see Scrabo? I love the old photo of George Herron and Denis Gibson on the tractor.